A native of Texas I have had the privilege of living in several interesting area of the country, including on The Garden Isle of Kauai. 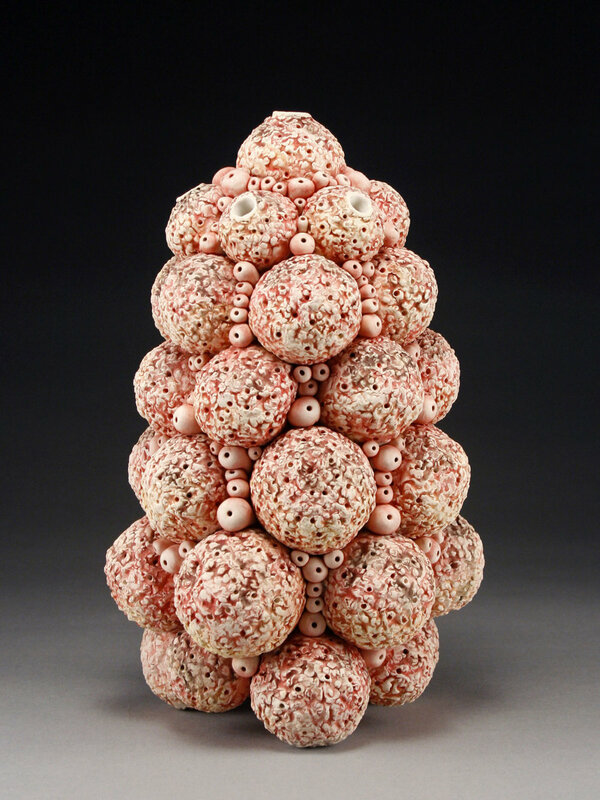 Inspired by the soft architecture of botanical life and textures of the sea, my work is created by building and stacking textural bits, similar to how plant life grows in repeating layers. 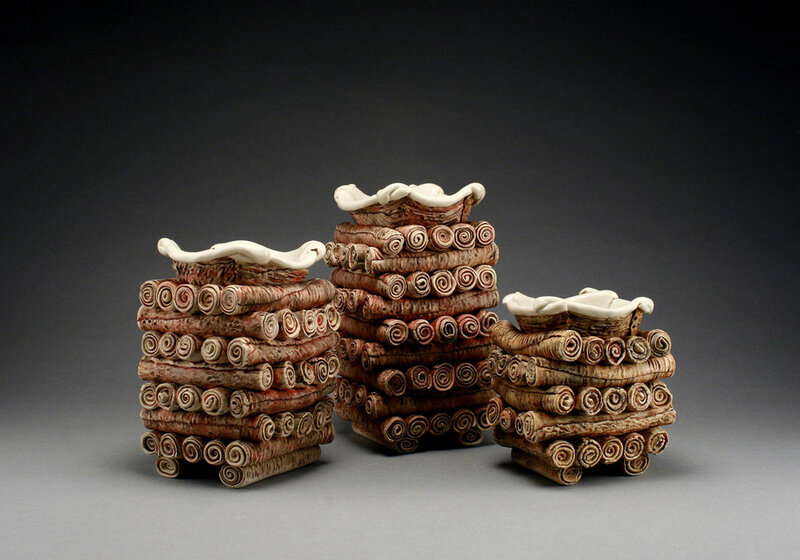 Thin slabs of porcelain clay curl up to form an interesting outer surface, while blending on the inside to form a vessel level by level with no armature or framework to rely on. 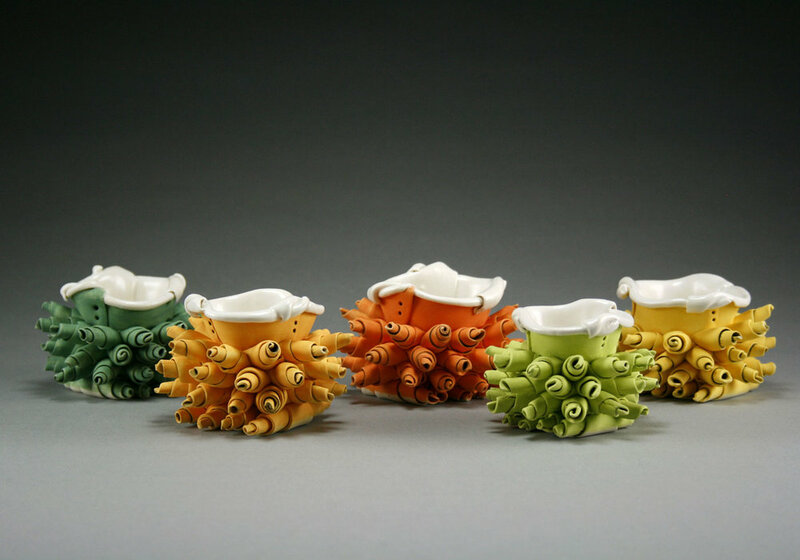 Some structures are a combination of wheel thrown parts built together to rise up to a vessel form. I exhibit through gallery exhibitions, art fairs, and museum shops both on the mainland and Hawaii. Currently I maintain a studio and teach ceramics in Austin. More images and insight can be found at jenniferhillceramics.com.